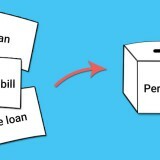 Today, a common man has access to a plethora of loan options. Loans from different banks may have different kinds of tenures, loan terms, and EMI fixation methods. To choose a loan that is cheapest and the best is quite a daunting task, but can be undertaken if you are ready to give some time and put some efforts. You can consider the aspects given below to analyze different loan options and to choose the best loan. Today, banks in India offer a vast range of loan including car and personal loans. You can compare car loan interest rate, personal loan interest rate and interest rates of other loans and also review other aspects to choose the best loan according to your individual needs and repayment comfort levels. When you choose the shorter loan repayment tenure, then you can repay the loan with a lower interest rate. The EMI amount will be high, but the total overhead will be vastly reduced. If the short term EMIs are too large for you, then you need to make largest payment possible towards EMI repayments in order to complete the loan repayment in lesser time and with lower costs. APR considers many different factors of a loan, including origination fee and other points while the interest rate of a loan just denotes the total interest levied on the loan amount. You can determine and review the APRs to know which loans will cost you more in the long run and which will be more beneficial for you. Some loan terms are shorter in length than the actual amortization terms. The cost deficit is compensated by the balloon payment that is paid at the end of the loan period. This balloon payment is essentially the amount of money that is left at the end of the loan term. You can forecast your financial condition and opt for the balloon repayment. The other option that will remain for you is to refinance your loan. These payment options reduce the tenure of loan and also reduce the interest rates levied on them. 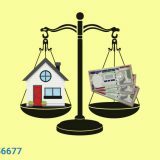 The EMIs of your loan are decided on aspects like loan amount, interest rate and tenure of the loan. 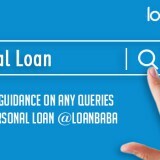 Go for the lowest loan amount, compare personal loan interest rates in India that are provided on different websites and choose a tenure length intelligently so that you can comfortably meet your expenses and pay the EMIs at the same time. Next story Layman Series: What are NBFCs?